As a technology provider, delivering educational content throughout a long sales cycle is one of most important things you can do to convert prospects into customers. 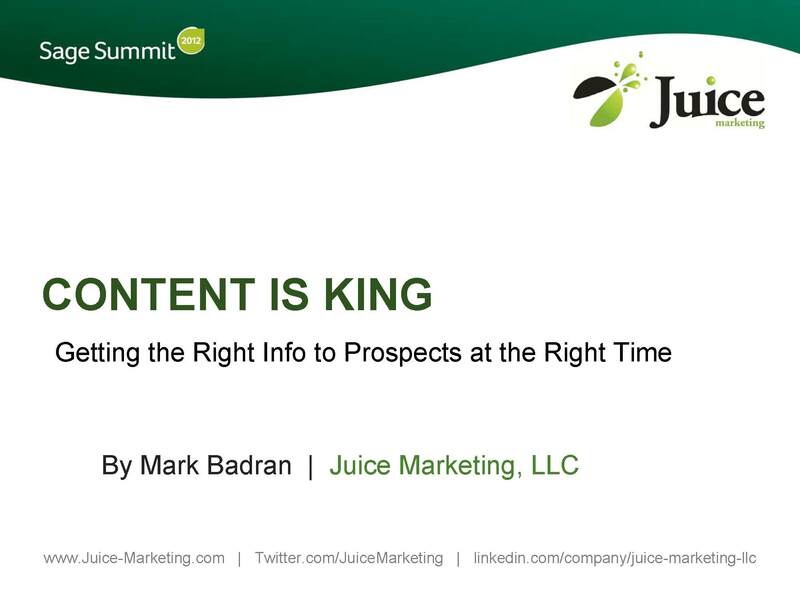 The process is called content marketing – the art of communicating with your customers and prospects and delivering valuable information without selling. Content marketing is built on the concept that teaching sells. Unlike an ad, telemarketing call, direct mail, and other tactics referred to as “interruption marketing” (because you’re interrupting someone with an unwanted sales pitch), content marketing is about delivering information that educates your customers and prospects. The essence of a content strategy is the belief that if you deliver consistently valuable information to your buyers, they’ll ultimately reward you with their business and loyalty. Content marketing can take many forms like white papers, blog entries, technology articles, tips and tricks, success stories, webcasts, videos, etc. But the idea is to get away from the mindset of trying sell your products, services, and features and delivering a sales pitch with every communication.